The Kinder, Gentler, Sam Peckinpah Ride the High Country and Ballad of Cable Hogue are warm, genuine and, arguably, his best Westerns. Hollywood’s famous Chinese theatre celebrated L.Q. 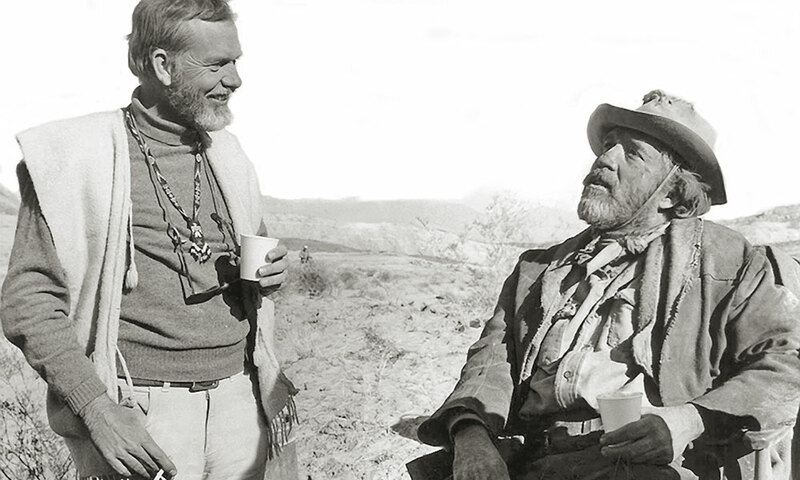 Jones’s 90th birthday with a screening of the controversial masterpiece that saddled Sam Peckinpah with the moniker “Bloody Sam,” 1969’s The Wild Bunch. Peckinpah had written nearly 50 Western TV episodes and directed over a dozen when MGM greenlit 1962’s Ride the High Country. The story of two aging, threadbare lawmen-gunfighters transporting gold from a mining camp, and inadvertently transporting a naïve would-be bride, would be the career capper for two great Western stars, Joel McCrea and Randolph Scott. Jones had first met Peckinpah as Don Siegel’s dialogue coach on 1955’s An Annapolis Story. “Sam said, ‘Listen, kid, we’re going to be working together, because I’m going to be a director, and I’ll remember you.’ True to his word, once he got a little foothold, here came the calls, and we ended up doing, I think, 17 projects together,” Jones says. This year, Warner Archive released Ride the High Country on DVD and Blu-ray, featuring an interview with the director’s sister, Fern Lea Peter. She calls the 1962 Western the director’s most autobiographical movie; Sam Peckinpah grew up on a mountain ranch outside Fresno, California. 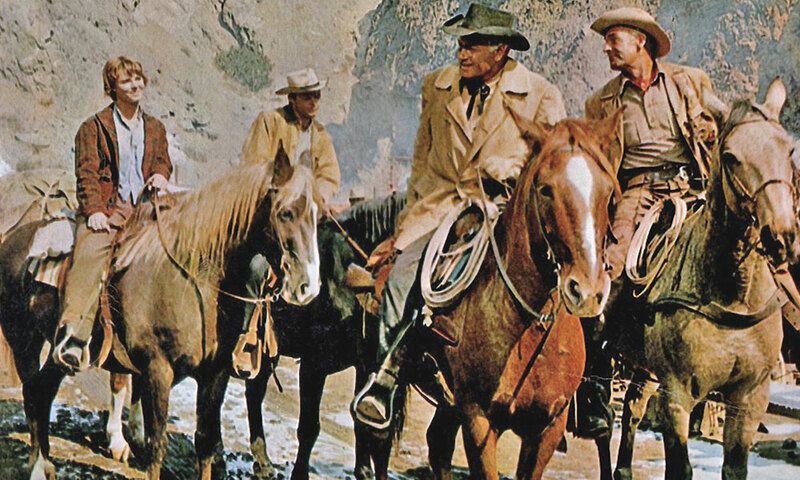 This film still shows (from left) Hartley, Starr, McCrea and Scott riding into Coarsegold. Stella Stevens characterizes The Ballad of Cable Hogue as a love story. She is shown here, sitting on the deathbed of the title character who made his way into the soiled dove’s heart, portrayed by Jason Robards. James Drury, who would soon gain fame as TV’s The Virginian, was wanna-be groom Billy Hammond, whose brothers figured Elsa would be bride to all of them. “Originally, Sam wanted Robert Culp for my part, and Culp’s agent said, ‘No, we don’t want Robert playing a bad guy,’ so he got me. I was able to play the part with great gusto, and I surely did enjoy that,” Drury remembers. For that 1970 Western, Jason Robards starred as Cable Hogue, a desert rat left to die by rivals who take his water. But instead of dying, he miraculously “found water where it wasn’t,” as he says in the movie, then builds a stagecoach stop and woos Hildy (Stella Stevens), the gorgeous soiled dove who must choose between love and wealth in San Francisco, California. Hogue’s spiritual advisor is a libidinous preacher played by David Warner. A newcomer in Peckinpah’s cast was Western novelist Max Evans. They had become friends after Peckinpah lost out on filming Evans’s The Rounders. For years, they tried to find a mutual project. In the film that finally joined them together, the stagecoach is prominent in the story, and Evans rode shotgun beside his close friend, driver Slim Pickens. A quirky mix of slapstick and sentiment, the Western was viewed by Peckinpah as a comedy, but Stevens insists it is a love story. It’s also her best work, and maybe Robards’ as well. Neither of these Peckinpah films were nominated for any major awards, but their reputations grow with each passing year. The Cup-Spinning Scene: How Did They Do It? 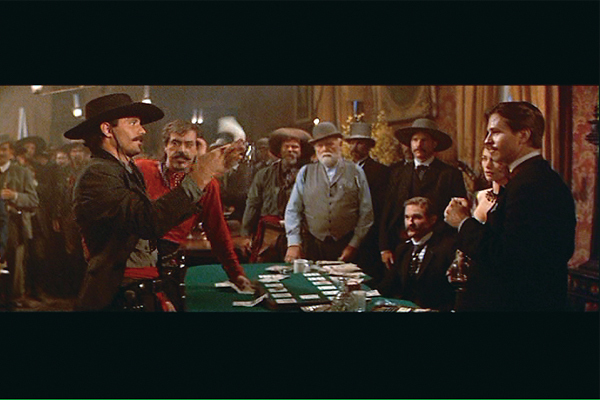 World champion gun handler Joey Dillon breaks down Tombstone’s most famous scene.